As the CEO of a customer research firm that works primarily with private equity, I am often asked what value customer research can bring to a private equity deal. People outside the private equity industry sometimes find it surprising that customer research can have a role in transactions that are so often portrayed as driven solely by deal-making and hard numbers. Even some people within the industry undervalue customer research, thinking that a few telephone calls or general market analysis is all that is required. However, the private equity industry has changed significantly over the last few decades. Whereas a simple LBO model with minimal customer research might have been sufficient for good returns two decades ago, high valuations and increased competition among firms is leading the industry to more sophisticated and strategic thinking. This is reflected in who is involved in a deal: whereas in the early days an investment might be largely driven by bankers or financial officers, now strategic consultants – whether in-house or hired from external strategy houses – are playing an increasingly important role in investment decisions. 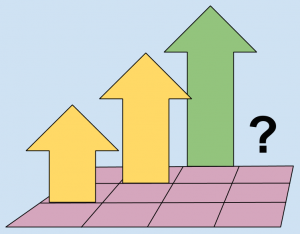 This rise in strategic thinking coincides with an increased focus on the “softer” sides of a deal, such as customer research. 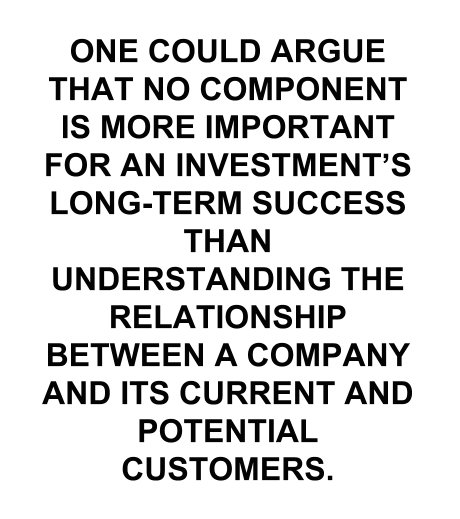 Despite often being classified as a “softer” component, one could argue that no component is more important for an investment’s long-term success than understanding the relationship between a company and its current and potential customers. In the end, the success of every business depends on this crucial relationship: it is where growth comes from, and it is what gives a company an advantage over its competition. Good customer research can help investors identify unexpected strengths or weaknesses of an investment. This is perhaps the most traditional reason for conducting due diligence research. Knowing what risks investors may incur and learning how the investment’s products and services compare to its competitors can be important not only for adjusting valuations, but also for deciding whether the deal is even worth pursuing to begin with. Good customer research can help investors develop and validate future growth strategies. 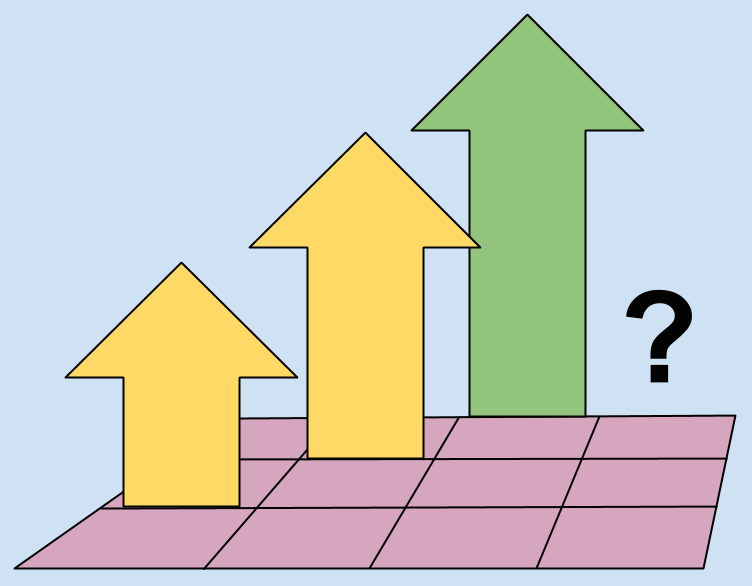 Often an investment hinges on a number of very specific strategic growth hypotheses. By testing each of these hypotheses in detail with the current and potential client base, a private equity firm can get a sense of whether their assumptions are correct and what strategic changes will have the biggest impact on a deal’s success. Good customer research can reduce uncertainty. Good research can also help answer a multitude of smaller questions and thereby reduce the uncertainty inherent in a deal. What effect will relocating a company headquarters have on sales? Will a potential acquisition be an asset to the brand? Will customers be open to purchasing an adjacent product or service? All these questions can be answered through good customer research. Providing an acquisition with the results of good research can help set future expectations. Companies often initially succeed with a great idea, a superior product, and funding from angel and VC investors. At these early stages, a company may perform A/B testing and benchmark performance against its competition, but detailed market research is seen as an expensive distraction. However, when a firm reaches sufficient growth to enter the middle market and become a potential private equity investment, the role of research can change dramatically. Now, not only will research be important for setting wider brand strategies, but it is also necessary to fulfill board reporting requirements and for ensuring a firm is sufficiently transparent with investors. Conducting good customer research before a deal closes can help set expectations for what these future reports should look like. Good research can create a useful dialogue between a company's management and investors. 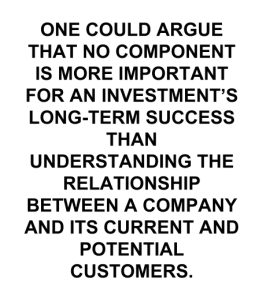 Good dialogue between investors and a company’s leadership is essential for the success of an investment. Research helps a private equity firm gauge their ability to work with a company’s leaders. A management team that engages with unexpected insights rather than seeking to merely dismiss them is a good first sign that a successful partnership based on mutual trust will develop. I know of deals that were called off because such dialogue failed to be productive or management was unusually defensive. 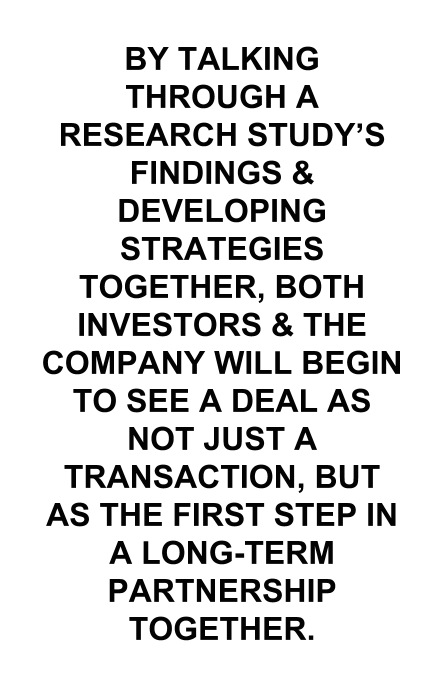 More than this, by talking through a research study’s findings and developing strategies together, both investors and the company will begin to see a deal as not just a transaction, but as the first step in a long-term partnership together. As these five reasons suggest, customer research can be an important tool in the due diligence process. It not only provides investors with better information at the time of an investment decision, but it also can be useful for helping set future expectations and strategy. I emphasize above that “good” customer research does all these things. However, research that is performed without sufficient care and attention can lead investors seriously astray. Examples of these types of errors include insufficient care in phrasing or in ordering questions, paying insufficient attention to the UX of survey participants, not appropriately stratifying sample, not sufficiently pilot-testing tools to avoid technical errors, or not sufficiently exploring unexpected findings. These kinds of mistakes can often provide misleading data that makes bad investments look good or conversely can lead an investment team to pass on a very good investment. Despite the ubiquity of fast and inexpensive survey tools, getting research right can often require considerable thought, time and expertise. A third-party research firm can provide experience and expertise. Good business research requires skills that can be very different from those that make for a good investor or management consultant. A company with a culture that values and promotes employees who have these skills will often produce more solid results. In addition, third-party research firms often conduct research in a variety of industries and geographies, some of which may be outside of a private equity firm's or consultant’s expertise. A third-party firm may therefore better know how to properly adjust research methodologies for these different markets and recognize unexpected questions that have cross-market application. For instance, a question that produces fruitful results in consumer packaged goods may also have applications in B2B contexts, and a research approach that makes sense in the U.S. may not make sense in Singapore. A third-party research firm can help provide an additional level of discretion. Deals are complicated transactions that can have significant impact on different stakeholders. It is often useful for a board and potential investors to investigate a potential deal or partnership without causing unnecessary disruption if the parties involved in the deal decide to go in different directions. A third-party research firm can serve as a firewall between the research and the larger public, thereby preventing a potential deal from garnering unnecessary attention until it reaches a stage at which it makes sense to do so. A third-party research firm can help reduce bias. There sometimes can be intentional biases in a deal: a company seeking to be acquired may only report positive data or fail to report potential risks adequately. In this case, independent research can ensure important questions are asked before a deal closes. However, more often biases enter unintentionally: a company that has a strong culture may be blind to its own weaknesses, and a company that only relies on A/B testing of current customers may have unrealistic expectations of the potential in the larger market. In addition, even research conducted internally by a private equity firm may carry some bias: team members who are personally invested in the success of a deal may be unable to step back sufficiently to recognize risks. Research from a third party that has no stake in whether a deal closes or not can significantly reduce this bias. 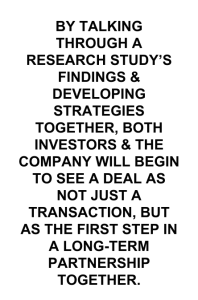 A third-party research firm can be a valuable resource for an acquisition after a deal closes. As I mentioned earlier, many companies that PE firms invest in are in the process of making a transition between a startup/VC-fueled business model and a business model that is focused on expansion and growth. An independent research firm can serve as a bridge, providing research guidance until those capabilities can be built up in-house. Furthermore, even after a company develops extensive internal research capabilities, the company’s executives may nevertheless find it useful to bring in the external company that conducted the due diligence research in order to verify assumptions before making important strategic decisions. As company multiples steadily increase, and as it becomes consequently less likely that a private equity firm will find an amazing company at a great price, good customer research is becoming an increasingly important component of successful private equity deals. Given that good customer research adds little to the overall cost of a deal, and given the significant benefits and insight independent research can provide, we think good customer research should be an important part of any private equity deal.